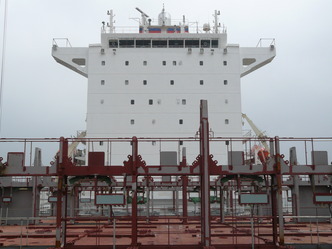 A series of four 4250 TEU Container Vessel build for a German Owner at New Century Shipyard, PR China. Main challenge of this design was to achieve the design speed. Extensive optimization and testing has been done. Trials proved model basin prognosis. 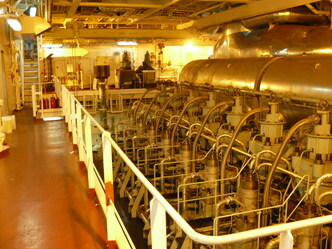 The Vessels are single screw double hull ships, with one engine. 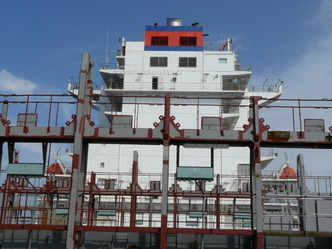 The engine room is below the deckhouse and the 40` container place behind the deckhouse. 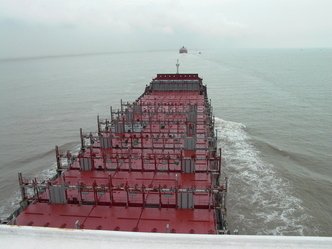 The vessels are equipped for the carriage of reefer container and all types of dangerous goods. Two side life rafts are arranged. The accommodation is fitted for 22 Persons + 2 Pilots and 2 Owners. Possibilities for recreation are fitted, like a sauna and gymnasium.